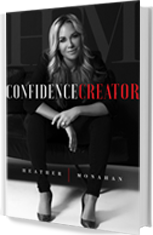 Everything you need to know to create your confidence and realize your full potential. Quick steps to take to create your confidence fast! Confidence is the one thing that will change everything for you! It certainly did for me. My courses will walk you through the steps you take to create your confidence and live your best life. My tips and strategies will empower you to leapfrog the villains in your life and develop your confidence simultaneously. This is the curriculum we should have had access to in high school or college. Can you imagine what you would be doing differently today if you had a blueprint for creating confidence years ago? This is the same curriculum I shared with BNY Mellon, Bacardi International, the WNBA, MGM resorts, University of Miami Business School and Harvard among many others. Get ready to take your life to the next level!